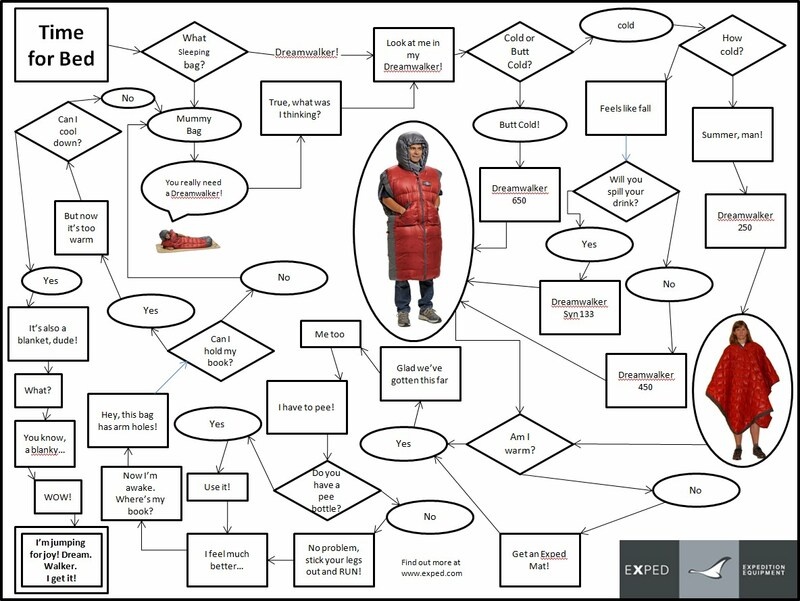 Choosing a sleeping bag can be downright confusing. 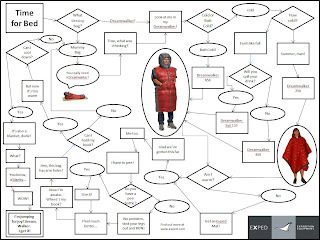 To break through this difficult process we've developed the Exped Dreamwalker Flow Chart. It has the answers to all your most important sleeping bag questions. Easy! Fun! And warm!